Home / Music / Nostalgia / Yes, I Saw Michael Jackson Perform Live! Yes, I Saw Michael Jackson Perform Live! No fibbing! I really have! But to be perfectly honest, this was before Michael Jackson became the Michael Jackson. Younger readers will, of course, be more familiar with the androgynous white-skinned figure of the great MJ – which I never liked, by the way, for the simple reason that it was not really him. The Michael Jackson that I saw was this skinny long-legged teenager who wore a fluffy afro on his head just like all African-Americans did in the seventies. And his skin was still dark. The more he tried to change the way he looked, the freakier it seemed to me. To each his own, though. Whatever made him happy. Of course, the following decade, Michael broke away from his brothers to go solo. He then proceeded to reinvent himself to become arguably the most successful solo act ever. I can’t recall the exact year; but this was in the late seventies and I was in college. My elder sister’s mother-in-law was among Imelda Marcos’ Blue Ladies and enjoyed a highly-placed position at the Folk Arts Theatre. The theatre, for the benefit of the younger generations, was built in record time to host the 1974 Ms. Universe Pageant. After the pageant, the venue hosted anything from political assemblies to boxing matches to Disney shows. Naturally, there were also international musical acts which performed at the venue. More often than not when these international acts came to perform, I had through my sister’s mother-in-law access to complimentary tickets. The most notable of those that I watched at the Folk Arts Theatre were America, the Lettermen, the Stylistics and the Commodores. Again for the benefit of the younger generations, America was the act that recorded the immortal hit ‘Horse With No Name.’ If you have never heard of that song, go bury yourself in horse dung. You are of no worth to this world. The Lettermen, on the other hand, was a trio that recorded other acts’ songs but made them sound so much more melodic. ‘Cherish’ is probably their anthemic recording. If the song is drawing a blank, go ask your parents – or your grandparents. Now the Commodores was a really big band in the seventies right from their first hit single ‘Machine Gun.’ Their lead singer? A certain Lionel Richie. Yup, I saw him perform live as well. There was this other act that I saw live. It was a Motown group made up of five brothers: Jackie, Tito, Marlon, Jermaine and... Michael Jackson! The group was known as the Jackson 5 or simply the Jacksons. I can name the group’s most famous and successful songs in the seventies; but what good would that do? Two songs, however, will be familiar whatever your generation: ‘I’ll Be There’ and ‘Ben,’ the theme song of a movie of the same title. Both songs were recorded by the Jackson 5 and sung by... a certain Michael Jackson. To be perfectly honest, what I recall of Michael’s performance of both songs was that he struggled with the high notes. Both songs were recorded when he was still pre-pubertal. 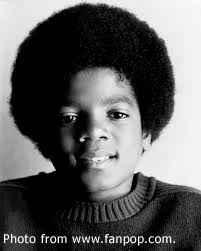 When I saw the Jacksons live, Michael was already a teenager. In other words, his voice had already broken. Like any soul group of the time, the Jackson 5’s choreography was exceptional. All five boys could dance; but Michael’s dancing stood out even then. And this was way before he made famous the iconic moonwalk. I remember one pirouette so well because I did not think it was possible even after seeing it. He ended a song by spinning three or four times. Without losing his balance. I would have stumbled. Anyone could have spun the same number of times. Only MJ could have spun at the speed that he did without losing his timing or his balance. It was phenomenal. But even then, he also seemed to have something of an attitude. After the finale, the crowd cried ‘More! More!’ and the four other brothers had paused, looked back and seemed willing to give an encore. Michael waved a hand ‘Let’s go!’ and the brothers all left the stage. There was no encore. To be perfectly fair, Michael must have been tired because he seemed to have done more dancing than everyone else. On the other hand, would one more song really have been that difficult? The hits just simply rolled off the production line one after the other: Thiller, Billie Jean, Bad, Dirty Diana, Beat It, Black or White, Heal the World and so on and so forth. MJ returned to Manila in 1996 as a solo act in a concert that was part of his world tour. I was no longer interested. I was a fan of the Jackson 5 because their music was all over the airwaves when I was growing up. By the time MJ broke away from the group, I was more into hard rock. I could listen to his music if it was on the radio; but never bought any of his records. 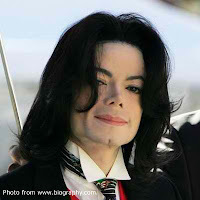 In fact, I only have a limited collection of MJ mp3s in my hard drive. But I still play ‘I’ll Be There’ and ‘Ben’ regularly. These were among the songs that I grew up with and among the songs that I had the privilege of hearing and seeing MJ and his brothers perform live. I was seated, like, on the sixth row from the stage. That close.